Sound Through Barriers Exhibition Coming to Art Lab Fort Collins< - FORT COLLINS, Colo. – Front Range Community College student Chris Reider will curate “Sound Through Barriers: Listening in Continuous Space” at Art Lab, an experimental art gallery space in Old Town Fort Collins. The contemporary sound art exhibit will run April 20-29, featuring 13 works of contemporary sound art by 15 international artists. - For Reider, the show is an independent study project for his Museum Studies course, taught by Jennie Kiessling, instructor in the Arts & Letters Department at FRCC Larimer Campus. Sound through Barriers will also feature two performances, both free and open to the public. 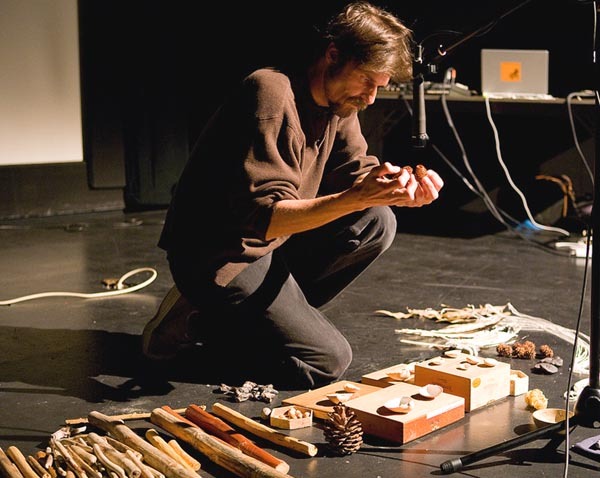 Sound artists Jeph Jerman and Cheryl Leonard will perform April 23 at 7:30 p.m. at FRCC’s Larimer Campus, room RP140, and April 24 at 7:00 at the Community Studio at the Fort Collins Museum of Art. 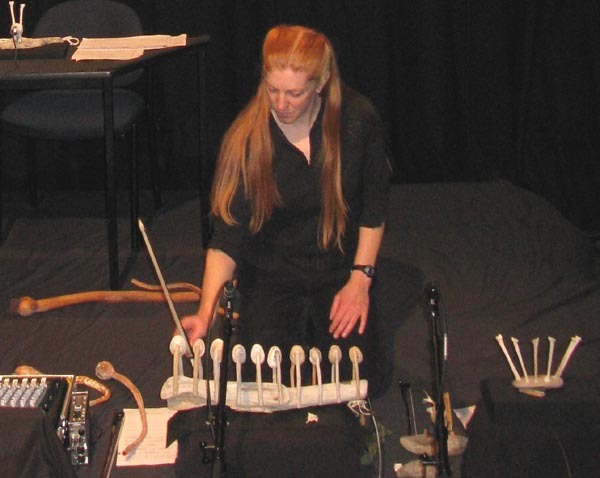 The artists use “found” objects to produce a variety of sounds. - For more information about Sound Through Barriers, visit http://soundthroughbarriers.com or www.artlabfortcollins.com. Sound Through Barriers now has Facebook event pages for the exhibition and for the two performances. We’ve got only a couple of weeks left until the exhibition opens, I hope to see you there! There are now posters for the Sound Through Barriers exhibition & performances! Do you live in Colorado or Southern Wyoming? Can you help by printing a few of these out and putting them in hang-out places like coffee shops, bookstores, libraries, universities, record stores, music shops, where ever? I’m pleased to announce that, accompanying the Sound Through Barriers exhibition of sound art, we have invited two acclaimed sound artists / musicians to give two performances in Fort Collins. There will be two performances by both artists, each followed by a question and answer session. The visiting artists page at Sound Through Barriers’ website will soon be updated with more information on the venue locations. Need help planning your trip to Fort Collins for the exhibition / performance (as well as other sound events happening in the area at the same time such as Communikey and Denver Noise Fest)? Please check out the page set up at the Sound Through Barriers website to help you with this. The “plan your trip” page contains directions to the exhibition space as well as pointers for finding lodging in the nearby area. There may have been email problems with my server earlier today, if you got a bounced message, please try again.